Do you have a plain looking backyard that is in need of a makeover? If you like to spend time outdoors and in the fresh air, then shade will be important. There are many ways to have a shady backyard if you want to have your own outdoor oasis. 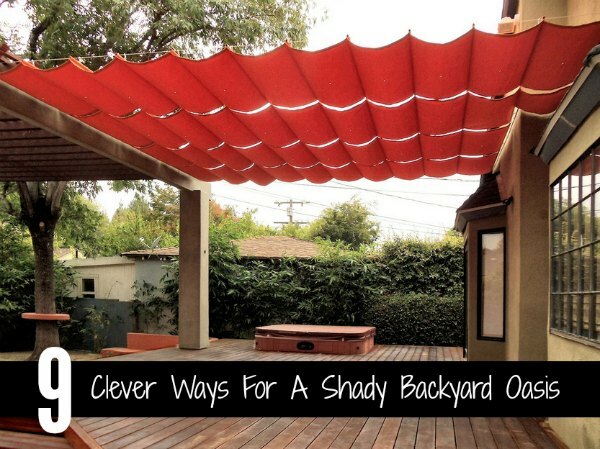 A DIY shade cover is a great way to create a shady backyard oasis. This can easily be done if you have a few basic materials on hand. A pergola is a great structure to have for shade, but may be difficult to set up in your yard. Constructing a simple canopy is a great way to have a shady backyard. This can be done by using wood or PVC pipe, depending on what you have available. Another option is to build a fabric awning to shade a patio or deck. String or wire meant for a clothes line can also be used to make a DIY shade.